When I hear it, my first reaction is to wonder if there is truth in the advice. And if there is, how much? I am never certain of how I will act in difficult situations. I definitely know how I would like to act. I have an idea of the principles that I would like to guide my actions, but until I am in that moment, I cannot be truly certain of what I will do. As has happened to all of us, I have been in situations in which I have felt everything from pride to shame over the actions I have taken, roles I have played, and decisions that I have made. This range of emotions, and the range of choices I made at different times in my life, makes me think about several questions with deep connections to Facing History. 1) If I am capable of playing many different roles (upstander, bystander, perpetrator, victim) in my own life, couldn’t the same be true of other people today and in the past? 2) How can I work to help myself, and my students, make better decisions in difficult moments? 3) What resources can I use in my classroom to empower my students to be an upstander during times of difficult decision making? Let’s start with question three. 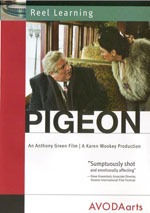 In my classroom, I use the 11-minute short film Pigeon to explore these themes. There are many different ways to use this film in the classroom, but the following prompts can help frame a conversation about human behaviour, choice, and the roles that people play during interactions with others. Before showing the film, define the terms upstander, bystander, perpetrator, and victim. A great way to do this is for students to create working definitions of the terms, then engage in conversation as a class to explore the definitions in more depth. The definitions for each of these terms can be tricky! For example, does a person have to be aware of/witness an injustice to be a bystander? After the discussion about definitions, watch Pigeon. Ask students to focus on the roles that people play in the film as they watch. This is where it can get really complicated. Many of the characters in the film fulfill the definitions of different roles at different points. Debrief. What roles did the different characters play? What evidence do you have that demonstrates that they fulfilled the definition of the role(s)? What does this tell us about human behaviour? What different roles do you play different situations in your life? What actions can you take in your life to be an upstander in more situations? Can you think of a concrete example? At this point, I revisit my own question: If I am capable of playing many different roles (upstander, bystander, perpetrator, victim) in my own life, couldn’t the same be true of people today and in the past? And I think we have an answer: Yes! I believe that we also have the beginning of an answer for question two: How can I work to help myself, and my students, make better decisions in difficult moments? The more we think and talk about the complexities of decision making and the influences that affect our behaviour, the more likely we are to make better decisions. And practice makes perfect, though perfect may be a bit too lofty of a goal! We can’t be perfect in each difficult decision that we make, but we can strive to become decision-makers that act in upstanding ways. Read about two former Facing History students petitioning the Oxford English Dictionary to add the word “upstander”! Find more teaching strategies and resources to help discuss themes of bystander, upstander, perpetrator, and victim behaviour in your classroom. How do you address these themes in your classroom? What resources do you use to help students think deeply about the roles that they play and the choices that they make?